Native to Taiwan, the umbrella tree, also known as schefflera, octopus tree or parasol plant, is named for its long horizontal stems that produce leaves at the tip that have a circular appearance like that of an umbrella. Dwarf versions of the plants naturally grow to a maximum height of 5 feet, but pruning can also be used to keep the tree in a pleasing size and shape. 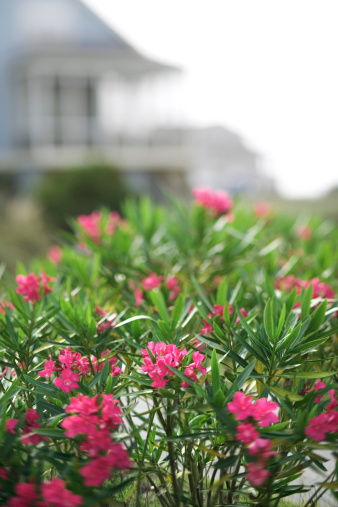 Pruning also serves to maintain the health of the plant so that it continues to bloom for years. Plant an umbrella tree at any time of year. Indoor plants, especially, can survive constant pruning. With outdoor plants, cut away problem areas whenever they appear, but do heavy pruning in the winter when the plant is dormant. Remove limbs and branches that have problem areas at any time. Like most trees, problems that may affect an umbrella tree include disease, infestation by insects and dying wood. When you see disease spots, insects or dead wood on a branch or limb of the tree, snip that limb free of the tree at the trunk with shears or cut with a saw at the trunk if the branch is thick. Trim an umbrella tree down to maintain its size. 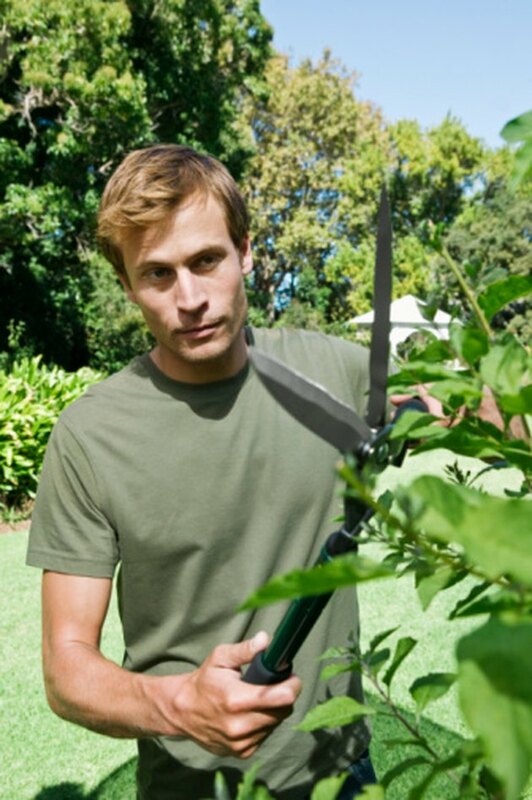 In general, maintain the size of the tree by cutting off several of the longest branches at a time, once or twice a year, or by cutting back up to one-third of every branch on the plant at a time. If you want to make major changes to the umbrella tree's size, though, you can cut the tree back severely without major damage to the plant. According to the Plant Care website, a radically trimmed umbrella tree will grow back and continue to thrive. Shape the umbrella tree. Just like with pruning for size, you can also direct the shape of the umbrella tree for aesthetic purposes. To shape the tree, remove any limbs or branches that grow in the directions where you don't want limbs and branches to grow and leave any limbs and branches that grow in the direction that you want. You can completely reform an umbrella tree in this manner, so that branches grow only where you want them to grow.